Historically, in comparison to the other distilled liquors on the market, gin is a relative newcomer. It actually made the scene in the 17th century originally for sale in apothecary stores as a blood cleanser. It did not make it to the taverns until much later. It was actually invented (if you can use that word) by Dr. Sylvius, a professor of medicine at the Dutch University of Leiden. Dr. Sylvius took the oil of juniper berries and distilled them. Compared to the other more harsh liquors of the time gin was considerably less expensive and much smoother. The British soldiers campaigning during the Dutch War of Independence discovered it and they brought it back to England. Its popularity grew from there. As a matter of fact, the drink became so popular that by the time of the reign of William of Orange every fourth house in the British Isles actually had become a ginshop. The drink became so popular that for a time workers in England were actually paid for their labors in gin. 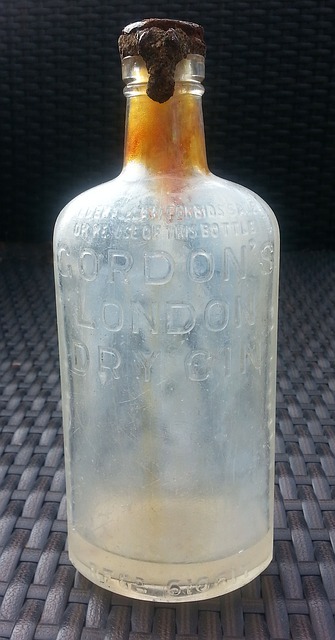 Soon afterwards gin peaked and was considered to be a rather glamorous beverage of choice for the rich and famous. By the late 19th century Victorian gin palaces began to spring up. It was from these that gin was introduced to the Americas. From them on it withstood many obstacles. It never fell in popularity after that. Not even the American’s laws on Prohibition could stop the appetite and the thirst for this well known concoction. How was the popular concoction made? Like other distilled liquors its starts out as a neutral spirit made from a grain mash. Later it is redistilled with juniper berries and other ingredients to enhance the flavor like coriander, bitter almonds, cardamom, cinnamon bark, angelica, and lemon and orange peel. Most of the flavor that is attributed to gin is acquired in this second distillation process. This is a nice English gin that has the aroma of citrus, cucumber, potpourri, and pine cones all rolled up into one. Its full body has a strong and distinctive flavor. Works well with a Gin and Tonic or with bitters. Another English gin that gives of a citrusy aroma with hints of pineapple, grapefruit, allspice, and pinesap. You will get just a little taste of orange and lemon peel mixed with juniper berries and cassia. This is a French gin that tastes of lemon grass and orange peel mixed with juniper berries. The citrus flavors are strong and it has a bit of an oily texture. This traditional British gin has a floral aroma mixed with orange peel and black pepper. The flavors are a mixture of juniper berries and angelica root. This gin actually has a grape base. The floral aroma gives evidence of the cinnamon, citrus peels and juniper berries. This is an Austrian made gin with ingredients that include a mixture of caraway, coriander and fennel seeds mixed with ginger roots. This American made gin is extremely smooth with a combination of various citrus fruit flavors mixed with spieces. The grain based spirit is infused with various botanicals, lemon zest and lavender. This very aromatic gin has an aroma of cucumber, white pepper and lemon zest. A little sweet to the taste with a touch of florals combined with cassia and coriander seeds mixed with the juniper berries. This gin has a particulary licorice and juniper bit with a touch of quinine in the background. Ingredients include cinnamon, coriander and feel seeds infused with the juniper. This gin is flavored with Angelica Root, Cardamom and Coriander seeds and Iris Root. The aroma of dried citrus zest with spieces. This one is called the Vanilla Ice of Gins. Each ingredient is distilled separately to get the purest flavors. When all the ingredients are brought together vanilla is used to blend them making for a smother product. Based on the same blend of winter wheat flavored with juniper and other botanicals. This Dutch liquor was invented around 1666 so it’s been around for a while. It has just a touch of dried flowers and citrus marmalade to give it a clean taste. Technically this is not a gin but a liqueur based on the slow berry. This fruit is then infused into the gin to extract the flavor. This bright red, bittersweet liqueur is great with a Sloe Gin Fizz. This gin uses lavender and grapefruit peel along with the juniper berries. The flavor that lingers on your palate is of sweet lemons. Here is another gin that uses vanilla to create a balance to the flavors. Sloanes hasa smooth and creamy flavor with a variety of botanicals. The licorice flavor is easily distinguished from the citrus flavors but not enough to dominate the other ingredients. This gin is considered to have more of the qualities of the original gins. It has a malty taste to start with, similar to whiskey but the flavor quickly changes and the juniper comes out along with the licorice, and aniseed. A soft, delicate and rich with the fragrance of roses and peaches mixed with pine. It is flavored with raspberries, orris root, licorice mingled with the juniper berries. This gin is 50% whiskey. It is a triple distilled concoction of a blend of rye, corn, and wheat. The flavor is more like a bread dough with juniper and a touch of chocolate. A Genevere is gin distilled from malt wine. This one is made with a combination of rye, wheat, and corn mixed with the juniper and other botanicals. A clear and clean gin with the fragrance of roses, lavender and fruit. Warm flavor of peaches, raspberries, and citrust mixed with the juniper berries. This gin is very warm and velvety smooth. Gin, like other liquors has seen a rebirth in many nations around the world. But none of those other countries has embraced gin like the Brits. So, here is a list of the ten most popular British Gins. This gin is made in very small batches of 30 – 60 bottles at a time. Lightly tinted with botanicals and a bold flavor. The juniper tastes comes through quickly but the other botanicals soon catch up. The finish taste is Cardamom and Cinnamon with orange peels. Rumor has it that the Navy Strength of version of Bathtub Gin is the result of the British Navy demanding that the gin be bottled above 57%. Not just for the stronger flavor but so that if by accident it was spilled on gunpowder, it would not interfere with the powder igniting. This gin is a little oily in texture but you soon notice the spices from the Cardomom and Cinnamon and the citrus and juniper keeps the flavor going. The reason for its name is that during the Victorian Era, gin was likely infused with cream and sugar. Today this gin is still creamy and thick. The reason is the combination of the distilled liquid with a dairy product. 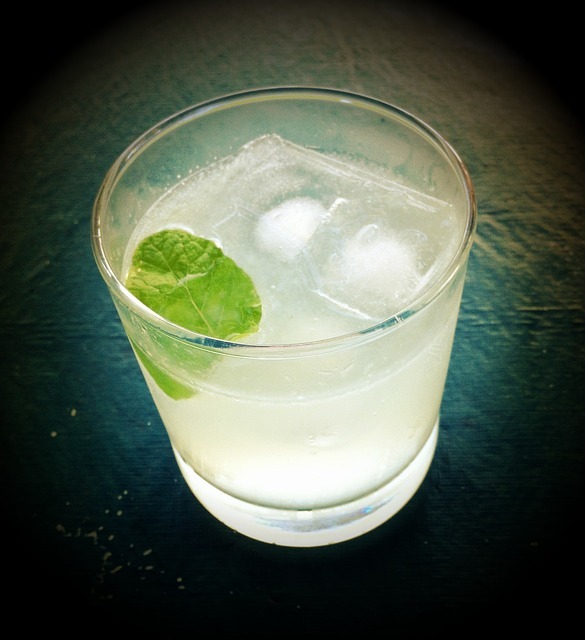 The famously known Tom Collins actually got its name from Old Tom Gin. This gin has a fruity and sweet aroma but the texture is rather bold as it develops the juniper flavor mixed with orange and just a hint of pepper. This particular gin is distilled from English wheat and juniper. No other botanicles are added. If you prefer to drink a more traditional type of spirit, each bottle comes with a vial of cold-distilled that include additional botanicals like coriander, lemon peel, bitter orange and so on. This gin from Berry Brothers has a special recipe and the Number 3 refers to their address. The secret recipe is made with a base of juniper and three different secret fruits combined with 3 different secret spices. Again, technically sloe gin is not really the traditional style of gin. This is made by in fusing sloe berries with Plymouth Gin and then blending it with Dartmouth water. This gin is shipped to Iceland after it has been distilled. Once it arrives in Iceland it is mixed with very cold spring water and flavored with Juniper, cassia bark, angelica and Florrentine orris, and a ton of other ingredients. This very English style gin comes from the same company that makes potato vodka. It is distilled from organic apples and has a very fruity flavor. Another gin that is distilled in small batches. The unique name comes from a period in history when King George II imposed a 50 pound tax on those who made or sold gin. It has a crisp and clean taste that is a little earthy when combined with Jupiter and lime peel. There is a hint of mint mingled with the warmth of the alcohol. 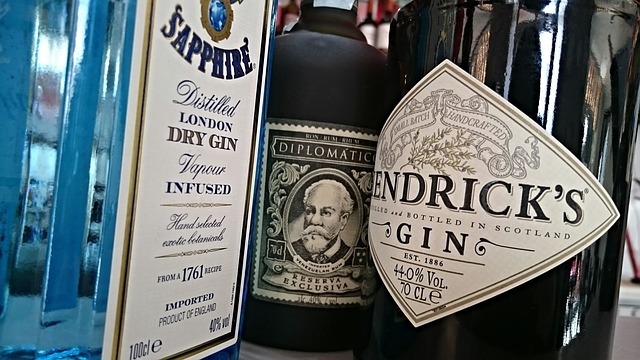 For years the name gin was synonymous with London. Actually the difference between gin and vodka comes down to just one ingredient. Gin uses juniper berries as the dominant ingredient with other ingredients lingering in the background. This blend worked well together with tonic water which for Europeans this was plentiful. However, when the United States began to create gin that one combination had to change. Tonic water is created with less quinine and high fructose corn syrup to add sweetness. Also, European gins tend to have a lower proof than American gins. So, when they combined a higher proof gin with a tonic water that was clearly of lesser quality the taste did not result in the raves expected. An 80 proof gin. Leopold’s distills each ingredient separately mixing them together only at the final stage of the process. It tastes light and sweet with a touch of spice. When you sniff this gin you immediately get the aroma of the juniper pine with the aroma of lemon and orange. The flavor of sweet citrus with juniper blends well with the pepper and coriander. this 88 proof gin is actually Canadian in origin. Ingredients in this gin include the standard juniper berries inflused with orange peel, coriander, and rose hips. You might get a tiny taste of rosemary in the background. An 84 proof gin is a blend of the traditional juniper berries blended with orange, lavender and cardamom. The spices added give it a more herbal essence. A 94 proof gin. This gin leads with the citrus flavors and not the juniper. The combination of lemon, orange, and lime infused with orris root and coriander. This gin takes advantage of the natural floral quality of juniper but adds to it the sweet elderflower and chamomile. This creates a very floral bouquet that is enhanced even further with spices like cinnamon and black pepper. This is one of those gins that uses juniper berries exclusively for flavor. The aroma is deceiving since it gives you the sense that honey and lemon-lime were also added. This gin is the perfect solution for those who like the piney overtones that the juniper provides. An 84 Proof gin that works well as an alternative to London Dry Gin in cocktails. With a strong citrusy aroma it gives you hints of fresh lime mixed with pine, white pepper, lemon eucalyptus and cardamom. This 93 proof aged gin comes from a long line of traditional gins. However, these aged gins are predominately found in Europe and it is highly irregular to see them distilled in the United States. The main ingredients in this gin are juniper and oak. Gone are all the fruity add ins that other gins generally produced and only these two flavors are used as the main flavors of this aged gin. 80 proof. – This gin tastes nothing like the traditional old fashioned European flavors. Dry Fly is flavored with a combination of apples, pepper, peaches, vanilla, wheat, nectarines and line peels. While you may truly enjoy this combination of flavors, many have been known to dispute whether or not really is a true gin. When you’re in charge of getting the cocktails right, whether you are working in a bar or entertaining guests in the privacy of your own home you want to get the best bang for your buck. However, there are times when your buck doesn’t agree with the prices of the liquor you want to buy. Is there a way to save money and get a great gin that will produce really good cocktails every time? Yes. This gin is from the United Kingdom. It’s ingredients include almonds, angelica root, angelica seeds and coriander seeds. This gin sells for $19.00 in most liquor stores. This is a tradition London Dry made in Austria. The ingredients include Caraway, Coriander and Fennel Seeds with ginger root, lemon and orange peels. This gin sells for around $16.00 in most liquor stores. This American Gin is pretty modern. It’s main ingredients are Citrus and juniper berries. It sells for around $14.00 a bottle in most places. This traditional London Dry gin comes from South Africa. It has a very distinctive and bold taste of juniper. You can expect to pay about $15.00 for a bottle. This gin has in addition to the juniper that comes with all gins include angelica and coriander seeds, with aniseed and citrus peel. Made in the United States it sells for around $20.00 per bottle. This is an American gin flavored with a blend of angelica seed, aniseed, coriander seed and citrus peel infused with the juniper berries. It sells for around $20.00 in most liquor stores. It doesn’t matter how long gin has been around or who makes it these days. The fact is that gin has emerged as one of the most popular liquors in the world. Nearly every class of mixed drinks uses gin as its base. One of the more traditional gin drinks (after the martini of course) is a gin sour on the rocks. Of course, it would be hard to find anyone who’s never heard of a Tom Collins. Years from now when historians study the social culture of our time, I’m quite sure that the martini will find its way into the annals of our lives. In the meantime, try these famous gin cocktails to entertain your guests. Shake well with ice. Strain into prechilled cocktail glass. Garnish with a magnolia blossom or other floral blossom. Shake gin, sugar, and lemon juice well with ice. Strain into tall 14 oz. glass half-filled with ice. Add soda. Stir. Add lemon and orange slices with the maraschino cherry for garnish. There are many things that we can thank the medical profession for but when it comes to Gin many thanks must go to Dr. Sylvius’s concoction. Of course, there was no possible way that he could have anticipated his simple medicine to clean our blood would also warm our hearts the world over.